WHAT: The United States Mint (Mint) and the National Park Service will launch the America the Beautiful Quarters® Program coin honoring Apostle Islands National Lakeshore in Wisconsin on Wednesday, April 11, 2018, at 10 a.m. CDT. The ceremony will take place at the Legendary Waters Resort in Red Cliff. The Bayfield High School Choir, Red Cliff VFW, Wigwam Express, Red Cliff Youth Drum Group and Washburn High School Jazz Band will perform. Additional event highlights include the exchange of $10 rolls of newly minted Apostle Islands National Lakeshore quarters after the ceremony. Richard Masters, designer of the quarter will also attend. The United States Mint will host a coin forum the evening before the launch ceremony—Tuesday, April 10, 2018, 6–7 p.m. CDT—at the Northern Great Lakes Visitor Center, 29270 County Hwy G, Ashland, WI 54806. The coin forum is an opportunity for the public to learn about upcoming United States Mint coin programs and initiatives, and express their views about future coinage. 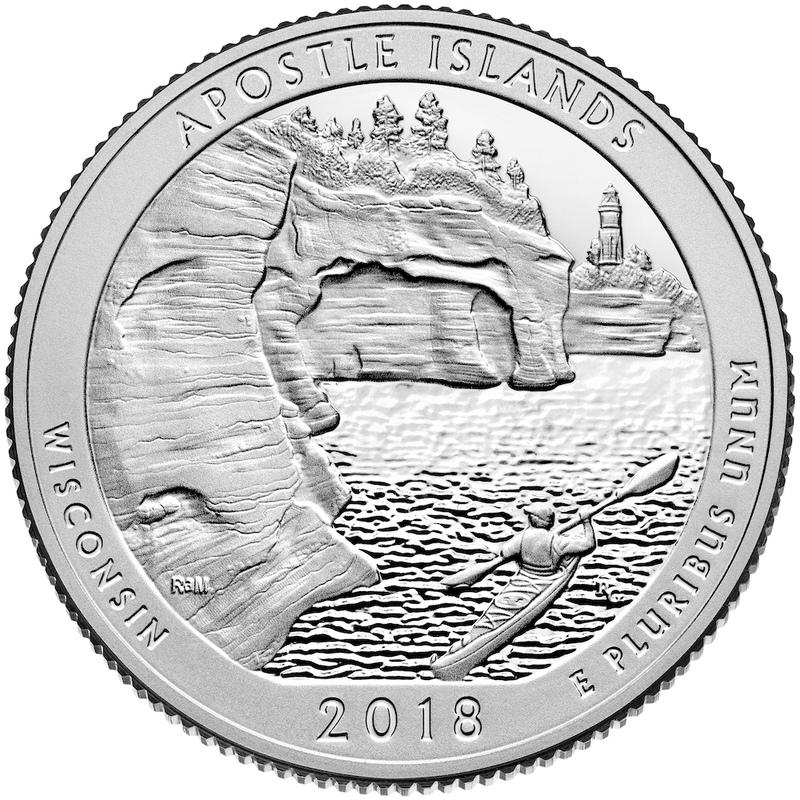 The Apostle Islands National Lakeshore quarter is the 42nd release in the United States Mint America the Beautiful Quarters Program. Authorized by Public Law 110-456 and launched in 2009, the 12-year program honors 56 national parks and other national sites. Each year until 2020, the public will see five new national sites depicted on the reverses of the America the Beautiful Quarters coins. A final coin will be released in 2021. The Mint is issuing these quarters in the order in which each honored location was first established as a national site.